Once a popular stop for the gold rushers of the 1800’s, the city of Elk Grove, CA, has since matured into its own respectable nugget of fortune and prosperity, and lays for all to discover in gentle in the hills of Sacramento County California. And as the second largest city in all of Sacramento County, just behind Sacramento itself, it would seem that many are discovering the booming of Elk Grove. So much so that Elk Grove has earned the title of the fastest growing city in the United States, according to Census Bureau numbers released in the past few years. It is little wonder why Elk Grove has become such a blossoming young city; a favorable climate year round, located halfway between the capital city of Sacramento and the city of Stockton, proximity to both the Bay Area and Sierra Mountain resorts and a history as deep and rich as the gold that laid in her hills. Elk Grove's Historic District, as some would call “Old Town Elk Grove,” is the heart and soul of this celebrated city; containing many of the city’s premier shopping and dining establishments as well as historic landmarks and architecture. 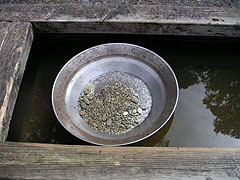 The city of Elk Grove has acted a major player on California’s gold rush scene and the state’s early history. In the 1850s, Elk Grove was established as a common sojourn for many of California’s gold rush entrepreneurs and the stage. 15 miles south of historic Sutter’s Fort, Elk Grove became a customary junction for business, entertainment, agriculture, and provided gold miners in outlining communities with many of the goods and services they needed on their journeys. Today, Elk Grove has grown out of its role of hotel and general store stop, and into one of Sacramento County’s most beautiful historic points. In Elk Grove's Historic District, many of the buildings in the area have observed their bicentennial birthdays; leading the city to propose a four million dollar improvement policy for the district, which would include restoring many of the older buildings and the main-street thoroughfare. These improvements are planned to boost economic strength and overall appeal of Old Town Elk Grove, spotlighting the area’s unique character and conserving the city’s abundant history. Elk Grove is a model young city, an area that rivals others in terms of population growth and financial success. The city’s location to California’s capital city has aided in Elk Grove’s growth, through it is not entirely reliant on Sacramento and its influence in the promotion of the town. Elk Grove remained a quietly individual cityscape encouraging the expansion of high technology businesses, professional services, commercial and retail enterprises. Providing its citizens the best in small town security and community with the advancements in modern business and enterprise needed to progress. Close to the Sacramento International Airport, over 50 areas of worship for all faiths, unique antique merchants and retail shopping locales, and several golf courses and local recreational spots are just some of the comforts residents of Elk Grove, CA, have come to relish in their quaint and thriving California homestead. Within the whole of the Sacramento County region, one would be hard pressed to find an area more beautiful, active and providing to its inhabitants than Elk Grove. The city and its surrounding area supply Elk Grove citizens with a variety of outdoor entertainment, modern health facilities, engaging community events and relaxing parks throughout and beyond the city limits. Elk Grove features close to 50 local parks; these parks include picnic areas, softball fields, a skate park and swim centers. Comprising of more than 140 acres of prime Californian landscape, the parks of Elk Grove are available to all residents year round. The same Californian landscape that proudly presents acres upon acres of relatively untouched wildlife refuges and preserves, the Stone Lakes Refuge and Cosumnes River Preserve attract nature lovers and enthusiasts countywide as well as many species of wildlife unique to this area. An important stopover area for thousands of migratory birds, the 3,000 acres of Pacific Flyway of Stone Lakes Refuge welcomes all to witness her natural wonder just west of Elk Grove. And one the southern edge of Elk Grove, the Cosumnes River Preserve boasts the only remaining unregulated river, the Cosumnes, on the western slope of the Sierra Nevada. The Cosumnes River Preserve strives to preserve this native marvel as well as educate and entertain the locals of Elk Grove. For those of the community that favor activities of the athletic persuasion will be proud to know that Elk Grove houses two pristine golf courses, the Emerald Lakes Golf Center and Valley Hi Country Club, and three health clubs that service the Elk Grove area. California Family, 24 Hour Fitness and Laguna Creek Racquet Club; all offering full facilities for swimming, indoor basketball court, weight training, racquetball, tennis and aerobics. Or enjoy the beauty that only California can provide amidst the 13-mile waterway known as Laguna Creek Parkway. Several trails weave through centuries old wetland areas, wildlife habitats and even local neighborhood parks and other open spaces; offering a fulfilling and distinctive rejuvenating experience. The city of Elk Grove also presents those that wish to rejuvenate and spice up the best years of their lives at the Elk Grove Senior Center. The Elk Grove Senior Center provides the area’s senior population chance to remain active in their personal health and community, providing classes with the opportunity to learn many different pastimes, trips around the community and attending many of its various events. Elk Grove citizens, both young and old, enjoy a wide variety of events throughout the calendar year; and while they all may have different themes, they have one centralized purpose about them - to promote the small town sense of identity that the community of Elk Grove prides itself on. Held the first weekend in May, Elk Grove’s Western Festival is a family oriented event, like many other events throughout the Elk Grove year. Two days of rootin’ n’ tootin’ fun await all at this popular Sacramento County festival event. And since becoming the official California weigh-off site for a national Giant Pumpkin contest, Elk Grove’s Community Harvest & Giant Pumpkin Festival is just the chance for the whole town to enjoy the beauty of a fall season in California, not too mention the record breaking pumpkins! For mom and dad, The Taste of Elk Grove wine and food tasting festival offers an excellent variety of wine and local cuisine. Also a silent auction and raffle opportunities available to guests with all proceeds from the event going to benefit the Rotary Club of Laguna-Elk Grove. With the wide variety of events and escapes available to those in Elk Grove, combined with its years of deep rooted history within that state of California, it is clear why this are has been the fastest growing city, anywhere in the country. Elk Grove welcomes all who wish to enjoy an unsurpassed level of residential living and community atmosphere.